This entry was posted on Sunday, November 15th, 2015 by Frances Ryan. I spent yesterday at the Holyrood Park Education Centre, getting educated on whisky and beer pairings as part of Historic Scotland’s inaugural “Half and Half” event. The afternoon’s class was put together by The Scotch Whisky Experience and Stewart’s Brewing, and was absolutely fantastic! I went along for the day as part of my desire to get out of the house more for adventuring. And, of course, it was an opportunity to learn something new. Or, more importantly, sample some new malts and brews! We started out with a wee “sensory perception” exercise where we got to smell 10 different aromas that are common to whisky and beer. 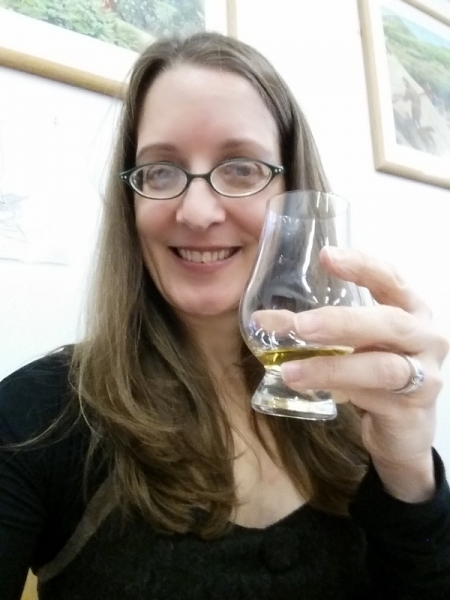 We then enjoyed whiskies from four regions: Lowlands, Highlands, Speyside, and Islay. Each of those whiskies were then paired with samples of four different beer styles from Stewart’s Brewing. It was a fun session with my friends, and I even made a new friend along the way—an American woman who is here for a few weeks visiting her son who is here on a study abroad stint. Anyhow, it’s a short post, I know. But it’s really just to show that I’ve been getting out-and-about, and to help get me back on track for regular blogging. (Something I really know I need to get better at!) So … whisky and beer. Yum. So, could you tell what region of America your new friend hailed from? Glad you enjoyed the day out and thank you for sharing your adventures with us. Yeah, she’s a southern gal who transplanted to San Fran. Really nice, and we might connect again whilst she’s in the country!